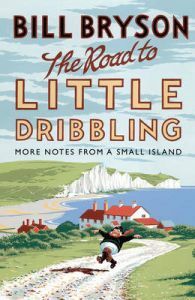 Bill Bryson's bestselling travel books include The Lost Continent and Notes from a Small Island, which in a national poll was voted the book that best represents Britain. Another travel book, A Walk in the Woods, has become a major film starring Robert Redford, Nick Nolte and Emma Thompson. His new number one Sunday Times bestseller is The Road to Little Dribbling.